"The days pass and are reckoned to our account." 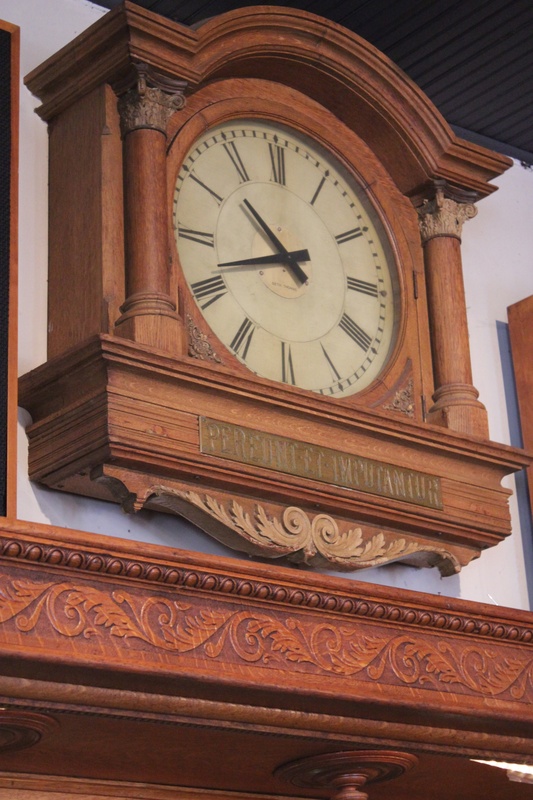 Pereunt et Imputantur, a Latin phrase engraved in the clock adorning the top of Motor Supply’s bar, roughly translates to the above motto. The saying is popular for clocks and sundials, alluding to the way we spend our time - whether that be wisely or not. This inscription was a bit of a mystery when Motor Supply opened its doors in 1989, much like the bar itself. Motor Supply’s iconic bar was purchased from Aiken Antiques, formerly located in Five Points, by the original owners. Of course, purchasing a piece of furniture to serve as the bar was a necessity, but the white marble columns and ornate drawers of this particular structure brought an iconic, “old world” feel that was unmatched. The history behind the massive antique serving as the centerpiece of the restaurant has undergone a great deal of scrutiny, with speculations of origin ranging from Hungary to Austria. 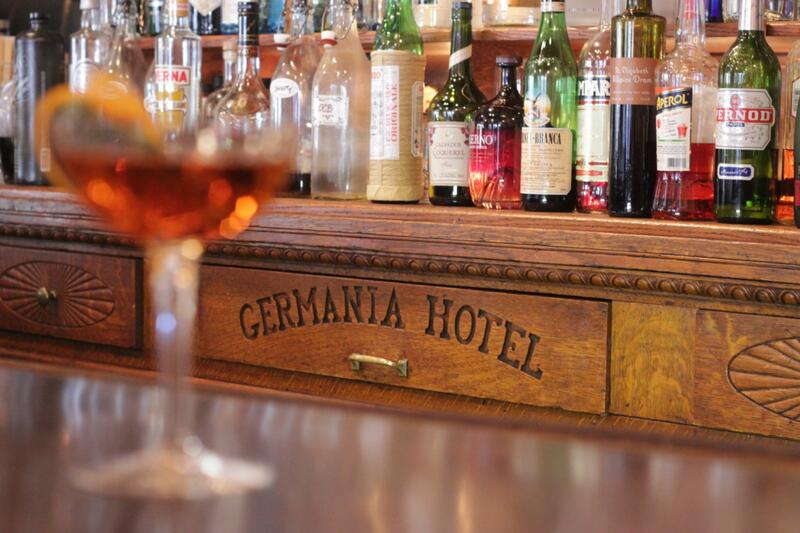 While the “Germania Hotel” text on the center drawer certainly lends itself to such a theory, restaurant owner Eddie Wales consulted with someone in the antiques business who analyzed the architecture and structure of the bar, noting its roots weren’t European. A bit of research did indeed lead him to the Germania Hotel - the one formerly located in Red Bank, New Jersey. It may never be a confirmed fact, but the 19th century hotel seems to have been the original home of Motor’s well-loved bar. Additions to the bar were installed to make it just that. Custom wine glass holders grace both sides. Prior to their installation, a large cabinet was also custom-made, including small wooden compartments for holding mini bottles. 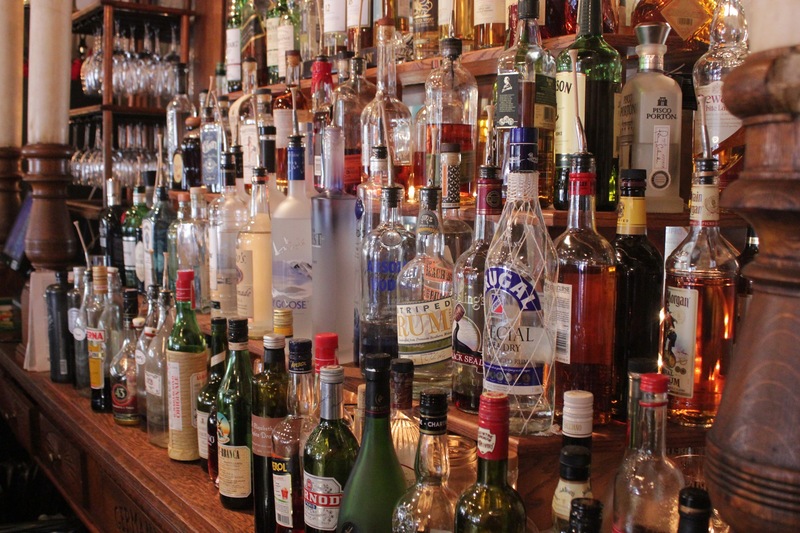 When the law requiring that bars serve liquor from mini bottles was repealed in 2005, the cabinet was sacrificed to build the shelves that currently house the bar’s liquors. Around this time, it was noted the bar was beginning to bow out and lean, causing the floor to lose its structural integrity and rot out beneath it. It didn’t take Wales long to realize that, at some point, it was going to fall over and cause irreparable damage. A large crew was called in to take the bar apart, move the entire structure and repair the floors. It’s hard to imagine this complex antique being moved at all. 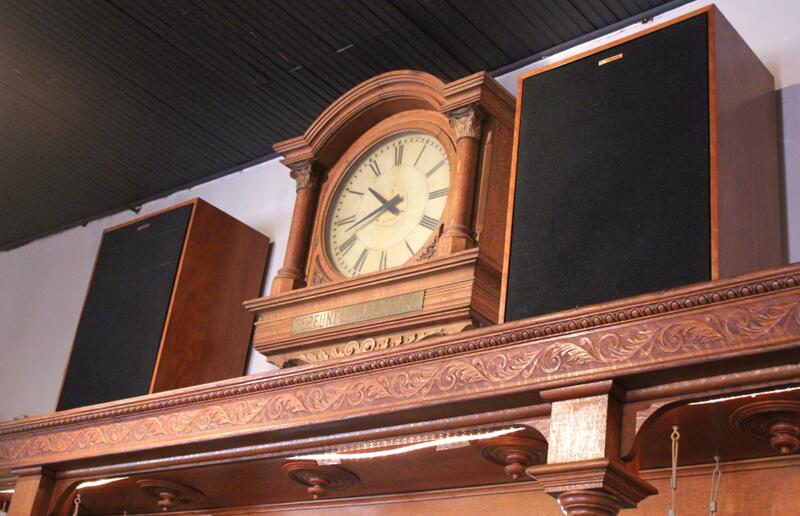 The addition of the large Klipsch speakers was also a strategic move, perfectly complementing the vintage vibe. Wales has caught a lot of grief for their clunky appearance, but he wouldn’t have it any other way. Next to the original neon sign, Motor Supply’s bar serves as a constant reminder of the restaurant’s rich local history. 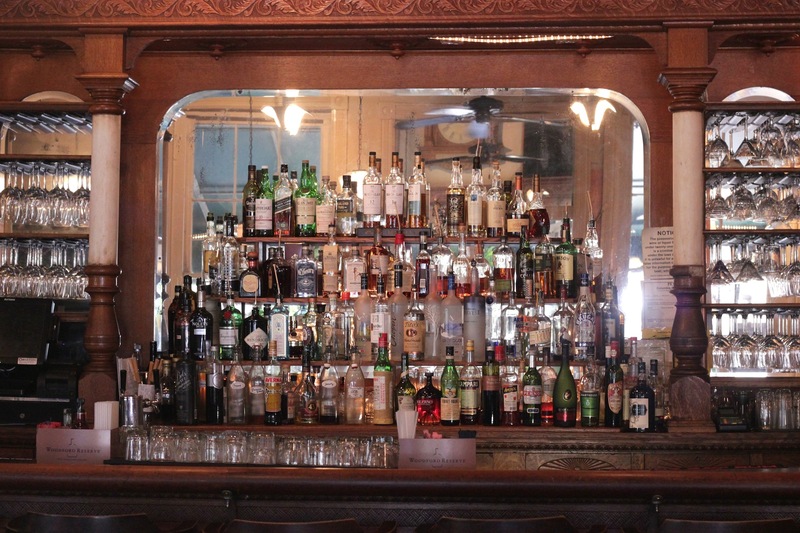 The century-old bar’s mysterious origin only adds to its beauty and character. Wales knows his customers see the furnishing as more than just an oversized hutch. Photos by Kim Jamieson, 2014. Looking for more? Learn the history of Motor Supply's iconic Vista building, view more photos, meet the staff or make a reservation.